3 Light Bath Bar In Brushed Nickel This gorgeous vanity light features a clean design with metalwork finished in brushed nickel and etched glass. 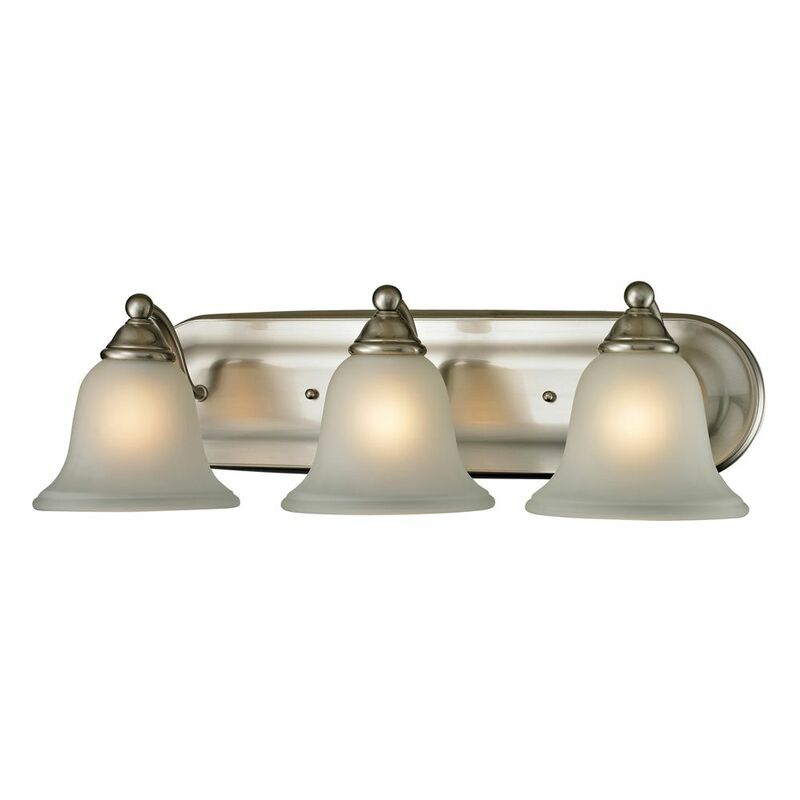 3 Light Bath Bar In Brushed Nickel is rated 4.0 out of 5 by 1. Rated 4 out of 5 by Mc from Nice light. Good price. Easy... Nice light. Good price. Easy install. Glass could be better quality. Would buy again though.